Hello, my name is Alex Ritz. I work in natural resources as a forest technician based in Vancouver but working throughout BC. My long-term career goal to merge natural resource management with conservation and focusing on wildlife. 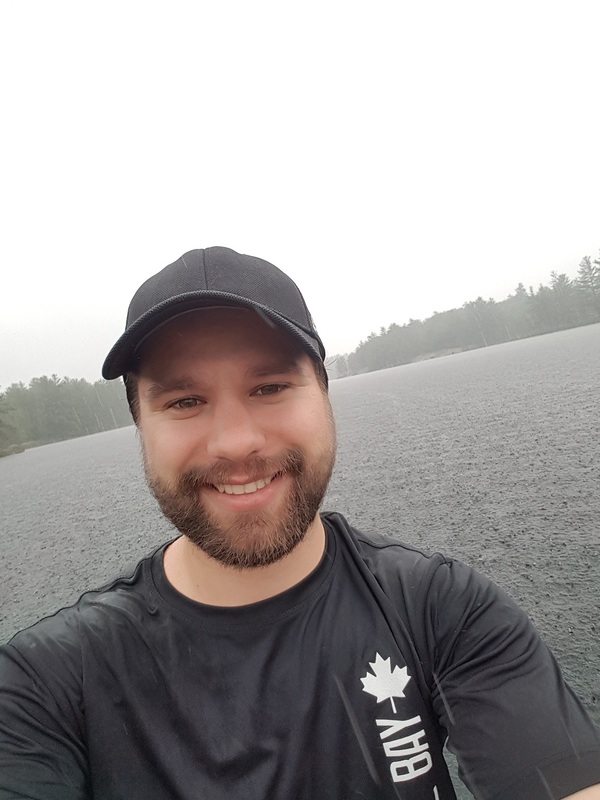 I grew up in Kitchener, Ontario and completed a Bachelor's of Science in Wildlife Biology and Conservation at the University of Guelph and a Master's of Science in Forestry at Lakehead University. I am excited to be involved with Ocean Bridge to expand my conservation knowledge and skills from my terrestrial, lakes, and rivers background to the ocean and other waterways. Mapping, spatial analysis, and working with big data appeals to me as well, so I hope to share my skills in these areas with the program. My name is Alina Lizotte and I am 29 years old and from Fort Resolution, NT. I recently completed a semester with Grant MacEwan University in the Arts & Cultural Management Program and committed to continuing my education in the near future. I currently work as the NWT Metis Cultural Institute Executive Director in Fort Resolution, NT for the past 5 years, but I also work in our two affiliated communities with our organization of Hay River and Fort Smith, NT. My tradition and lifestyle are directly connected to the waterways as my grandfather Henry McKay at the tender age of 73 still hunts, traps and fish’s to feed and provide for his growing family on the lake and land. I couldn’t have pursued a more then worthy cause to be more passionate about then the water and oceans, although I have never seen or touched an ocean in my life. I know that this experience will be life changing and a way to bring my connection to my grandfather even closer as he will be one of my top advisors in this process. I felt very lucky to have been shortlisted to this program and even more eager to start this once in a lifetime experience with you all. Hello team! My name is Bradly Matsubara and I’m from the south shore of Montreal. I graduated from Concordia University in December, 2016 in the Human environment program and have since been working as an account specialist for an industrial supplies company. I became an environmentalist when I was first introduced to scuba diving back in 2013, I truly fell in love with the oceans and have been wanting to make a difference ever since. I try to get involved as much as I can and truly believe that the only way to be successful in defeating issues such as climate change is to inspire people in getting creative to make a difference no matter their education level or profession. I have found that more often than not people actually want to get involved but just don’t know how. This is where lucky people like us have the chance to influence in a positive manner. I look forward to meeting all of you guys, Cheers! Bonjour! Je m’appelle Chúk et je suis francophone originaire de Calgary, en Alberta, mais j’habite à Montréal, au Québec, pendant que je termine mes études de deuxième cycle. J’ai travaillé dans des secteurs divers, tel que l’industrie pétrolière, l’industrie de la mode au détail ainsi que dans un milieu académique. Je m’intéresse à la nature pluridisciplinaire de notre existence et à l’exploration de nouvelles solutions qui répondront à des problèmes récurrents. Les océans et la nature canadiens sont importants pour moi en tant qu’étudiant en santé publique. Nombreuses sont les études scientifiques qui ont démontré la signifiance des océans pour la santé humaine; les bénéfices vont de la réduction du stress au soulagement du psoriasis. Leur conservation est d’une importance capitale à la nôtre. Pouvoir travailler avec Ocean Bridge tout en sensibilisant les populations urbaines me paraît une opportunité captivante et j’ai hâte de rencontrer et de travailler avec le reste de l’équipe. Hello, my name is Connor McDowell. I am a self-taught photographer with an emerging talent for capturing a story in a single moment and I am always ready to pack a bag and tackle the big stories while sharing my adventures on Instagram. I completed a Bachelor of Arts in Tourism and Environment from Brock University and a post-graduate diploma from Fleming College in Environmental Visual Communication at the Royal Ontario Museum. I am driven to make real change to help the future of our planet by combining my talent for photography and by working with people and sharing their stories on how we can make a difference in the world. Hey everyone, my name is Da Chen and I am a recent graduate from the University of Toronto Scarborough. I double majored in City Studies and Political Science. I will be going back to school in the fall for my MSc in Urban Planning at the University of Toronto. I am very interested in the Ocean Bridge Program because I want to learn skills and tools to better engage urban audiences about the importance of ocean conservation. At first glance, my educational background has little to do with conservation or ocean. However, my experiences over the past 4 years allowed me to learn and connect with the ocean in many ways and grew my love and appreciation for them. I was part of the Parks Canada Northern Engagement team last summer and traveled to the Arctic with Students on Ice. I was also a part of the Canadian Delegation at the 4th International Marine Protected Area Congress(IMPAC4) in Chile last September. These experiences really inspired me to learn more about our ocean and do my part in protecting them. I am excited to be a part of Ocean Bridge and to continue my learning about marine conservation. I look forward to meeting and connecting with everyone from across Canada and learn new ways to make a difference. My name is Danielle Moore and I'm currently living in wonderful Winnipeg. I graduated with a BSc Honours in Marine Biology and Oceanography from Dalhousie University, and studied right whale feeding habitat using whale vocalizations for my thesis. Throughout my time in university, I had the privilege of studying the ocean all over the world: Costa Rica, Bermuda, and Israel. This is one of my favourite things about the ocean - it is global, it's a huge interconnected system! My passions are inter-sectional. After working on a farm in BC, I moved to Winnipeg to work at a food security non-for-profit organization, where I help with communications, knowledge translation, and storytelling! I'm also an advocate for active transportation (I love my bike), digital literacy (coding, especially), and for women/non-binary representation both on bikes, and in STEM. I'm really looking forward to meeting with and learning from you all! My name is Danika Lalonde and I am a third-year student studying in the health sciences program at the University of Ottawa. I am bilingual, fluent in both French and English. 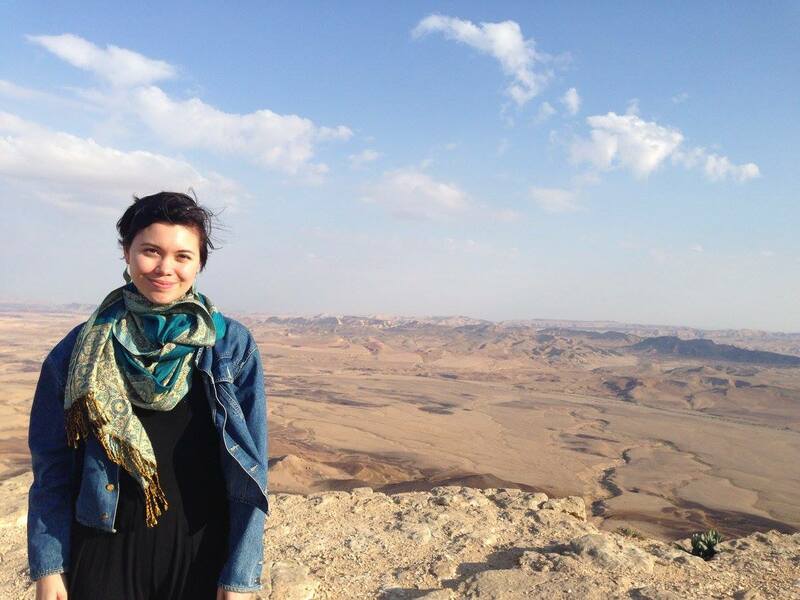 I am a 20-year- old female eager to explore and build memories while helping planet Earth! I am a very energetic, positive, adventurous person who always likes to be challenged. I grew up travelling to several places, swam in many oceans; ever since then, travelling has always been one of my great passions. The ocean waters cover 96,5% of the 71% of Earth’s total form of water. This means that it is extremely important to keep our waters safe in order to be healthy living individuals. As an eager individual, I’ve always wanted to experience new things, explore new locations and make memories with new friends! Therefore I look forward to meeting my 2018 Ocean Bridge family, in order to create wonderful memories and spread positivity while saving our planet Earth! 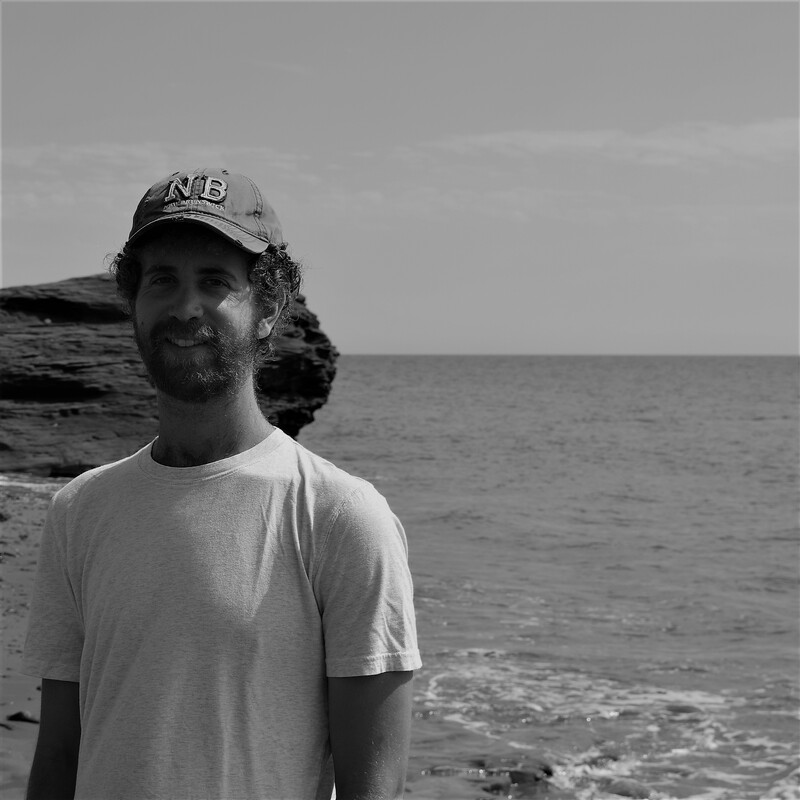 I'm an environmental scientist born and raised in Balmy Beach, a small rural community north of Owen Sound. I have always been exploring the natural world and my passion for the environment motivated me to study ecology and later a graduate degree in environmental sciences. 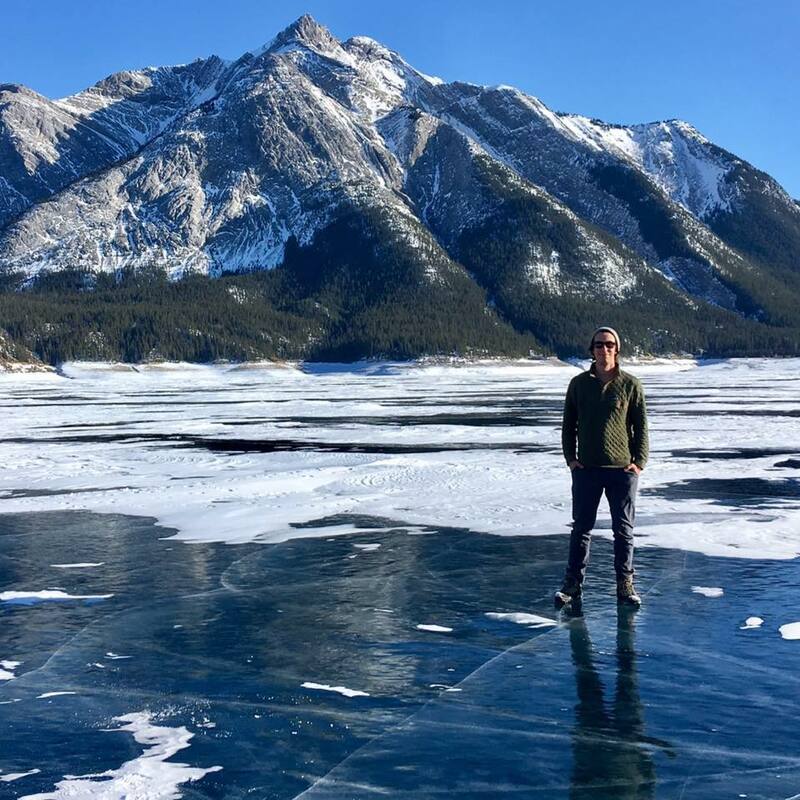 From working and living in four national parks across Canada to advocating for greater youth participation in decision-making on the international stage, I am always looking to foster connections and collaboration in diverse settings. I am passionate about exploring the intersection between science, policy, and politics, in particular the role that science and education can play in shaping more effective conservation policies. As a scientist, musician, and filmmaker, I hope to address environmental causes with creativity and a strong sense of community. Greetings everyone! 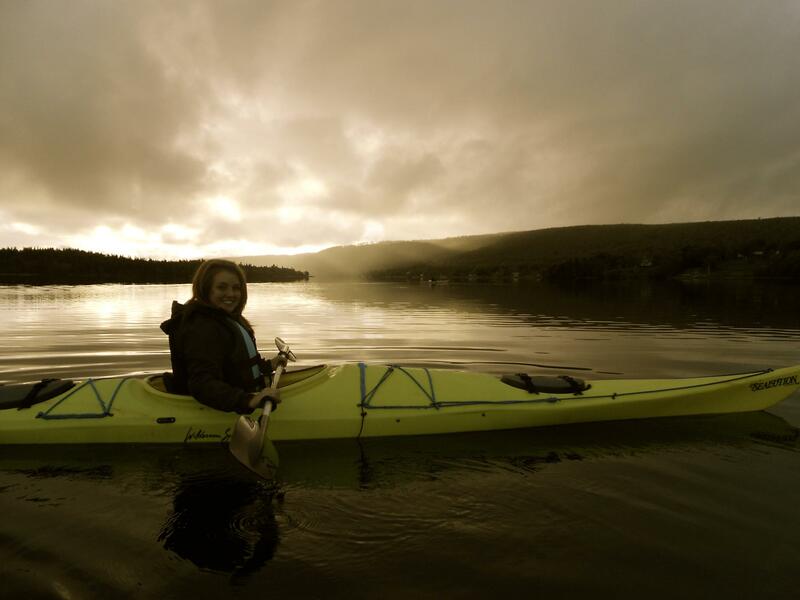 My name is Hannah Kosick and I am from beautiful Cape Breton Island, Nova Scotia (Canada's Ocean Playground!). During the summer months, I work for Parks Canada doing public outreach and educational presentations all across the island as part of the Cape Breton Field Unit. It is my job to engage families and get them outside camping, hiking, and visiting national historic sites so that they may enjoy our culture, history, and incredible environment. 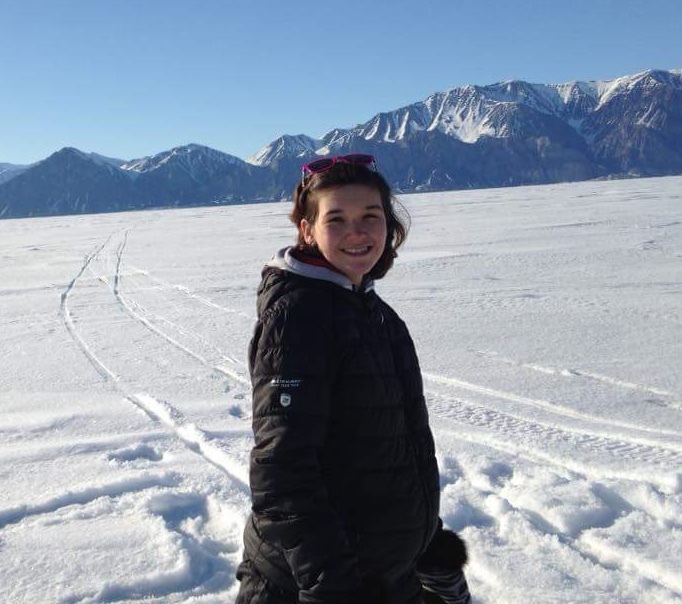 I am also a volunteer with Girl Guides of Canada where I plan activities and camping trips that teach girls all about community engagement, environmental issues, and inner strength. I am currently in my second year of post-secondary studies at Cape Breton University in the Bachelor of Arts and Science in Environment honours program and I hope to one day continue working for Parks Canada. I love to travel, camp, hike, and am very passionate about my education. I am so thrilled to be a part of Ocean Bridge and can’t wait to meet everyone! Hi, My name is Hannah. I am currently living in Calgary Alberta, although I'm originally from the Lake District in the UK. I have a degree in Marine Biology and Coastal Ecology from the Univeristy of Plymouth-silly idea to move so far from the ocean(! )-and have spent my time since graduating working in Outdoor Education and Aquariums too. I am a firm believer in education as a tool to inspire the next generation. "In the end we will conserve only what we love; we will love only what we understand; and we will understand only what we are taught. "Baba Dioum. Understanding and conserving our oceans is vital for the future. I am currently working at The Calgary Zoo and really enjoying being surrounded by people who are so passionate about conservation across the world as well as here in Canada. I am excited to be joining the program so I can meet more like minded people, who are as ocean obsessed as I am, and to join together to really make a difference. Hello everyone! My name is Jasveen and I am from Medicine Hat, Alberta. I recently completed my B.Sc. in Biology and Sustainability at Dalhousie in Halifax, NS. I'm home for a year before I begin Law School, where I hope to become an environmental lawyer. I am very passionate about science and getting youth involved in STEM, during my free time I volunteer with the science fair committee in my city to mentor youth on their projects and also promote opportunities in STEM across school boards. My passions for science and the environment have led me around the world, from Antarctica to the great Arctic and a few places in between. Through school, my extracurriculars and my travels I have learnt so deeply about the earth that we live on and the importance of protecting it. I'm so grateful for this opportunity and am so excited to meet you all! I am so excited to be part of Ocean Bridge 2018! I am from Vancouver, BC, right on the gorgeous West Coast. I love exploring BC and Canada. 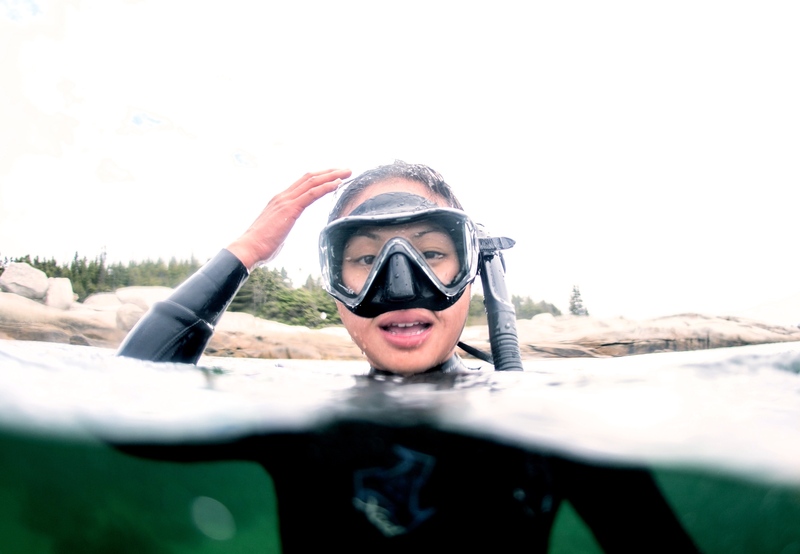 I hiked the West Coast Trail last summer and saw how amazing the oceans are. I am a certified PADI Open Water diver, and always looking for dive buddies! I love snowboarding and snowshoeing as well, exploring the mountains. 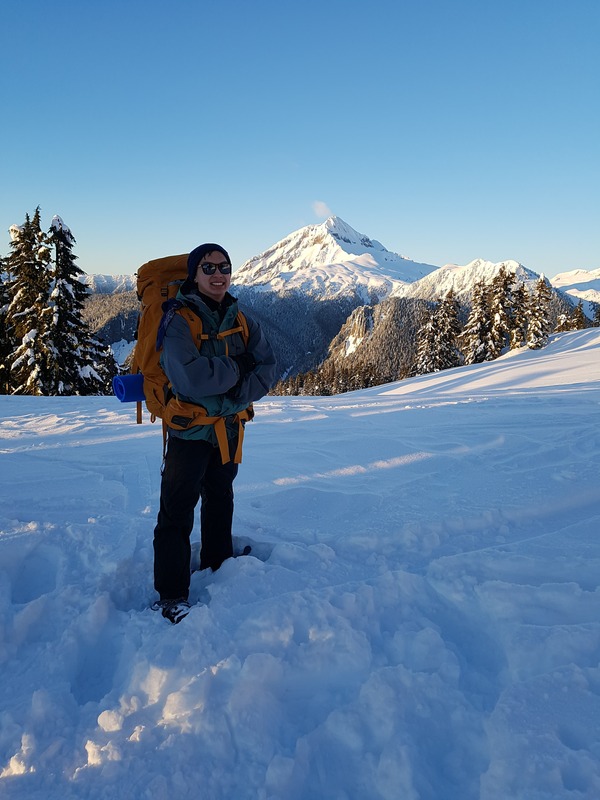 I am currently studying Biological Sciences at SFU, studying ecology as a way to facilitate sustainable development, in Canada and other places around the world. I am also working for some environmentally-oriented organizations in Vancouver, including the Vancouver Aquarium, Metro Vancouver, and Richmond Nature Park. The oceans are begging to be explored. The oceans excite me because of the enormous amount and diversity of life it holds and the huge influence it has on our lives, from food to climate. I am looking forward to Ocean Bridge and what it’ll teach me about the oceans and our connections to it! I am a very positive, energetic and passionate person. I really love interacting with people, animals and nature as a whole. I am a very organized, dedicated and hardworking. I believe in honesty and respect and my biggest wish is to make this world a better place. I love traveling and facing new challenges for myself improvement.I also highly enjoy meeting new people and to learn about different cultures and worldviews. I am a very optimistic and open-minded. I am an ecology student in Montreal and this program really transformed me. It's like I found my purpose! I have always wanted to protect the environment and defend animal rights, but I never expected to be able to dedicate my life to it. This program allowed me to discover all careers there is in conservation and have the opportunity to make a difference, which is more than what I could ever ask for. I was born in Mexico and lived a significant part of my life on the island of Cozumel. This island is known to have the biggest coral reef after Australia. Unfortunately, through the years I have noticed so many changes in the island's corals and fish diversity. Degradation has strongly affected Cozumel which really broke my heart. I love nature, and as I am part of it, I must take action! My name is Jordan Bertagnolli. I grew up on the headwaters of the North Saskatchewan River in the community of Rocky Mountain House, Alberta. I studied Biological sciences at the University of Calgary. My undergrad sparked an interest in the role ecosystem health and services have on our well-being. Currently, I am pursuing a Masters in Public Health; which involves looking at these environmental factors of human health. Living with the Canadian Rockies at my doorstep has instilled in me an abiding appreciation for creation. Many of the activities I enjoy would not be possible without the protection of natural spaces for all Canadians. Although far removed from the coast, land-based practices can still shape ocean ecosystems. I am hoping through Ocean Bridge to engage my community in responsible environmental practices, showing how an Albertan’s everyday actions impact oceans. I’m looking forward to working with everyone this year! Hi I’m Jordan Hawkswell! I am an activist for sustainability with a passion for freshwater and marine ecosystem health. I love connecting with people over nature, cool ideas, good food, outdoor activities and science. 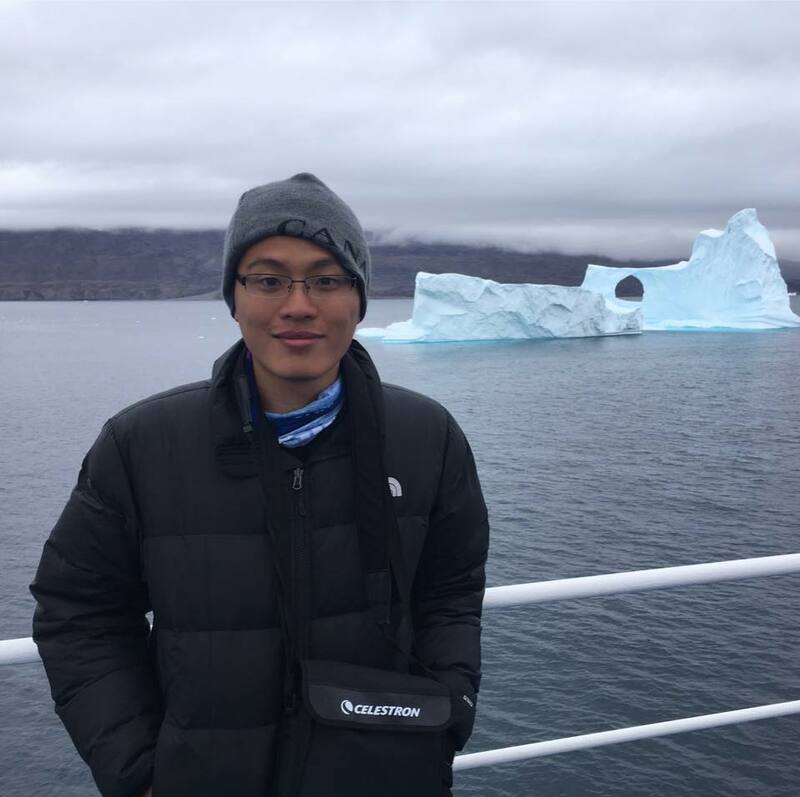 I completed a B.Sc in Earth Sciences at Dalhousie and I am currently pursuing a M.Sc in Planetary Geology at Western University in London, Ontario. Until recently I spent my summers paddling and camping in Georgian Bay and around Northern Ontario while attending and working at an outdoor center/ summer camp. I continue to spend as much time in nature as I can, especially camping and rock climbing. For the last few years I have been working towards living the most zero waste lifestyle that I can to best support a thriving ocean and environment. I enjoy seeking out new tools and resources for that goal and sharing them with my community via my social media and community group (@zerowasteforestcity if you’re into that kind of thing!). I am beyond excited and grateful to be a part of this program and work with like-minded folks to support our oceans and waterways. My name is Kareina D'Souza and I’m from Halifax, Nova Scotia by way of Mississauga, Ontario. I have a Honours Bachelor of Science from the University of Guelph and a Masters of Resource and Environmental Management from Dalhousie. I've worked at the Ripley's Aquarium of Canada, the Biodiversity Institute of Ontario, the World Wildlife Fund, SuperNova, and the Department of Fisheries and Oceans. Currently I am the Project Coordinator of the Species at Risk program at the Mi'kmaw Conservation Group in Truro, Nova Scotia. Ocean issues are complex because they involve many stakeholders with competing interests in a dynamic environment which is overwhelming. However, small choices combined with support of larger legislative and policy modifications can be a powerful force for change. I want to use this opportunity develop professionally and to empower Canadians to use their voices and make an impact. Folks! Hi! I'm currently in the process of moving back to the Okanagan after spending the past few years in Edmonton and Vancouver before that. I have a diploma in International Relations and am currently continuing in Social Work. I love spending my time engaged in sustainable community development, camping snowboarding and reading. Looking forward to learning from and with you all over the next year. Hello! My name is Kyle; a 27 year old vagabond of sorts from the East Kootenays of British Columbia. I grew up in North-West Ontario, moved to South Africa when I was 9 years old then eventually ended up in Kimberley BC. The moves of my childhood instilled an inability to stay still and an appetite to see as much of this planet as possible in the time I've been given, covering the earth before it covers me (not my quote, I believe that piece of inspiration came from the mind of Dagobert D. Runes). After high school my post secondary experience lasted a whole three semesters before I booked a flight to New Zealand. Since then I've done some volunteering in India, worked farms in Australia, became a yoga instructor, completed my divemaster certification and more recently worked on my skills as a photographer. In between trips I've been working in Yoho National Park in order to fund the next adventure. This time spent within our mountain national parks has really grown a great appreciation for our wild places and preservation of them. It's been delayed a few times in the past couple years but my future goal is to complete a diploma program in environmental science in order to start into some field work. I'm really looking forward to being part of the Ocean Bridge program this year and dipping my toes into this field of study. Hello, my name is Laura Baggs and I am super excited to be a part of the Ocean Bridge 2018 leadership team. I grew up spending my free time in rural Newfoundland, hiking, rowing, and just being enwrapped in nature. I am currently studying English and Communication studies at memorial University in my Home town, St. John's, Newfoundland. Being a part of this unique experience will give me a chance to apply my skills and knowledge in a way I have never explored before. I cannot wait to make a difference with all of the other participants of this organization! I grew up in rural Saskatchewan in a small town called Wynyard. The town is located in the heart of the prairies and is home to about 2000 folks. 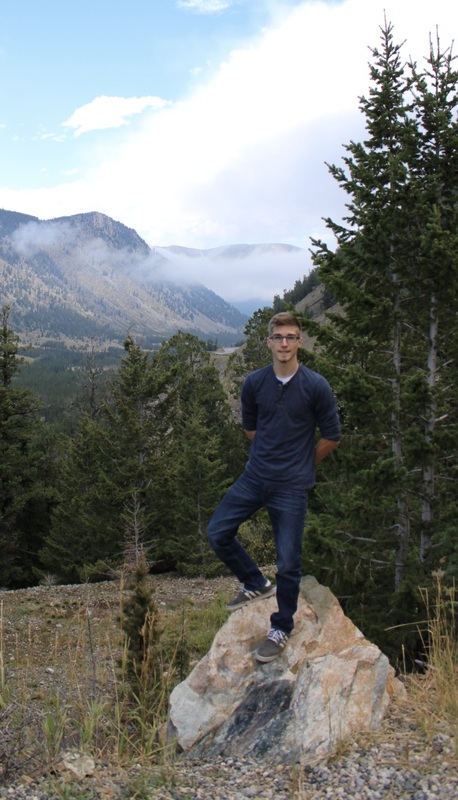 I was diagnosed with Juvenile Diabetes at the age of 10, and have learned to integrate this chronic illness into my adventurous, active lifestyle. I earned a B.A. & Sc. in Environment and Society and an Undergraduate Certificate in Sustainability from the University of Saskatchewan in 2015. During my time at university, I became involved with the Environmental Studies Student Association (ESSA). I served terms as Treasurer and President, and helped organize many fundraisers, networking events, and social outings for people who love the earth and want to make a difference. Since graduating from the U of S, I have been working in environmental education. I love helping kids understand the interconnections of the world around us. I spend my spare time hiking with my beagle, snowshoeing, disc golfing, playing piano, skating on Saskatoon’s outdoor rinks, and playing board games with friends. I enjoy attending local flea markets and shopping at thrift stores to search for vintage glassware produced in the Depression Era. Hi! My name is Lorelle Sunduk and I was raised in Prince Rupert, British Columbia. Growing up on the North Coast helped shaped me into an individual who is passionate about nature and conservation. I consider myself lucky to have been raised by parents who immersed me in the outdoors from an early age- I spent the majority of my summers fishing off the dock and exploring tidal pools while my parents both worked in the fishing industry. 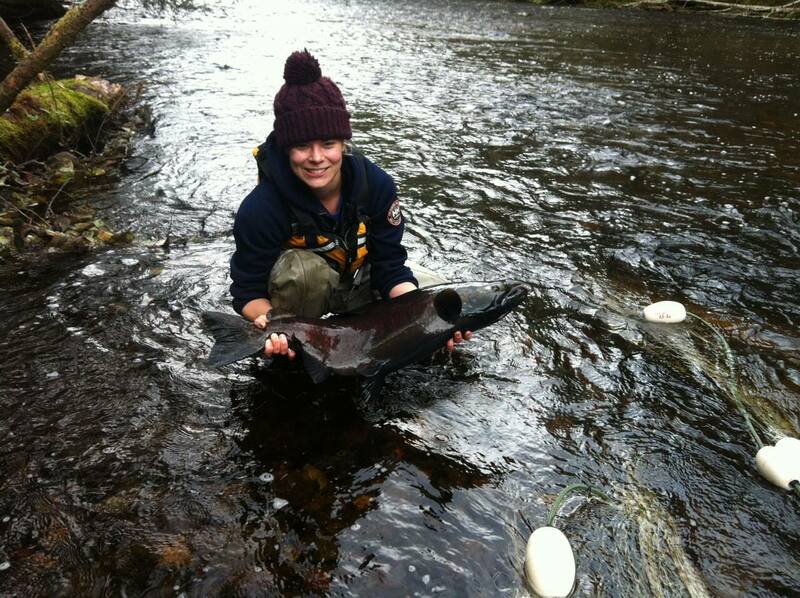 My early experiences drove me to pursue a career in fisheries conservation. In 2017, I completed the Bachelor of Natural Resource Protection program at Vancouver Island University. For most of the year, I work with the Department of Fisheries and Oceans as an Aquatic Science Technician. With DFO, I get to work with an amazing crew of technicians and biologists to collect data on Pacific Salmon through various ocean and river sampling projects. I also get to work hand-in-hand with commercial fishermen from all over B.C.’s coast and am privileged to listen to their stories and hear their concerns about the fishing industry and changing ocean environment. Currently, I am employed as a Habitat Restoration Technician with the North Coast Skeena First Nations Stewardship Society. Outside of work, I am kept busy volunteering with several non-profits including (but not limited to...) the Royal Canadian Marine Search and Rescue and the Prince Rupert Salmonid Enhancement Society. I look forward to learning and working with everyone in the Ocean Bridge Program!!! I’m Lucy Wilkie, 18 years old, from the little village of Port Williams in rural Nova Scotia. I graduated from the IB diploma program last May and I’m taking a gap year to see new places and experience new things (current location: a lovely little organic farm on the coast of New South Wales, Australia) before heading to McGill University in the fall. I love exploring the great outdoors (hiking, camping, and swimming are some favourites), creating/appreciating art and music, reading, travelling, learning, and drinking mug after mug of tea. I’ve always been passionate about our beautiful planet and I'm a strong believer in the little changes we can make in our everyday lives to create positive change for the environment. I'm really looking forward to all the experiences Ocean Bridge will bring and can’t wait to meet you all! Salut ! Je m’appelle Marilie Gosselin et j’ai étudié en géographie de l’UQAR. Ma fascination pour les milieux marins m’a amené à me spécialiser dans la concentration « Environnement marin » dans mon cheminement universitaire. Je suis d’avis que le fait d’étudier le fonctionnement de cet écosystème m’aiderait à avoir une meilleure compréhension des enjeux s’y rattachant. Mes expériences de travail comme patrouilleuse de ski, mon implication dans les sports d’équipes depuis mon plus jeune âge et mes expériences en tant qu’animatrice de camps de vacances, m’ont amené à développer mes capacités d’adaptation dans les groupes et à prendre ma place en communauté. Je crois qu’il est nécessaire de mettre en commun les forces et les idées de chacun afin de parvenir à un résultat optimal. J’ai une passion pour le ski, le soccer, le ski, le camping et le ski, sans oublier le ski. Je ressens vraiment le besoin de m’investir davantage pour préserver nos précieuses ressources, limiter notre trace anthropique et contribuer à cette réflexion sur l’héritage que nous voulons laisser aux générations futures. Je suis impatiente de vous rencontrer et vivre cette expérience avec vous. Hi everyone! My name is Matthew Miller, but you can call me Matt. I live in Victoria, BC, where I am a graduate student in the School of Earth and Ocean Sciences at the University of Victoria. My M.Sc. thesis on ocean acidification takes me on research cruises around Vancouver Island, out into the Pacific Ocean, and soon to the Canadian Arctic. I graduated with a B.Sc. in Fisheries and Aquaculture from Vancouver Island University, with an Honours thesis on microplastics in Pacific oysters. I have also been involved in a variety of other marine research fields including intertidal biodiversity, sustainable aquaculture, and marine mammals. I am particularly passionate about the issue of plastics in the ocean, specifically microplastics. 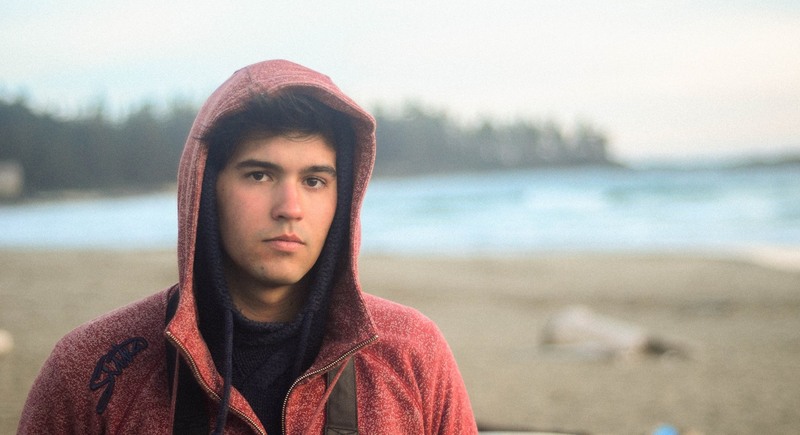 I am the Vice President of the Surfrider UVic sub-chapter, a group that focuses on reducing ocean plastic pollution. My hobbies include SCUBA diving, hiking, travelling, anything space-related, playing sports, and spending time with friends and family. I believe that many people have become disconnected from nature, and have forgotten how rare and precious life on Earth really is. I look forward to meeting all of you Ocean Bridgers, and in the words of the great Bill Nye “together we can, dare I say it, change the world!”. Hello, my name is Megan Gallant! I am 19 years old and from Caledonia, a small rural community in southwest Nova Scotia. 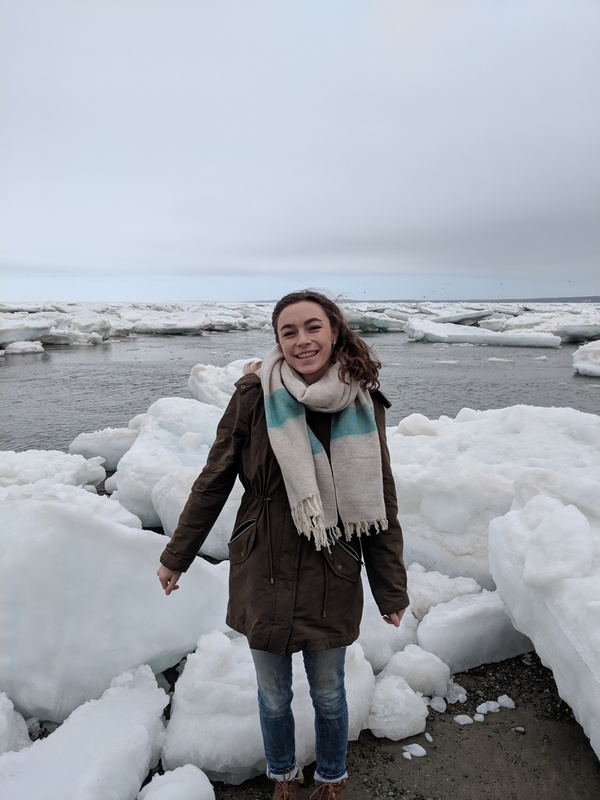 I am currently in my second year at Mount Allison University studying a Bachelor of Science, majoring in Environmental Science, focusing on the study of freshwater and marine ecosystems. I spend my summers working and in the backcountry at Kejimkujik National Park, I basically live where I work and I love it! Working at Keji has allowed me to learn just how important it is to appreciate everything around us. Learning ways to help conserve our natural resources is critical. The environment and nature have become my passion. I have chosen to surround myself in it through my studies, my work and my lifestyle. Spending as much time as I can in the great outdoors keeps me in my happy place. My favourite activities include camping, hiking with my pup, and canoeing. I am honored to be given this opportunity to meet and work with other people that share my passion! My Name Is Micah John Messent. My Indigenous family lineage is from the Red River Métis Nation, which is located in what is now known as the province of Manitoba. I was born and raised on the traditional territory of the K’ómoks peoples on Vancouver Island in British Columbia. Growing up I spent much of my time exploring various communities across Vancouver Island with my family and sailing around the islands and inlets located throughout the Salish sea (the ocean between mainland British Columbia and Vancouver Island), learning the rich histories and teachings associated with various traditional territories. A great deal of my time was also spent on the beautiful and biodiverse shorelines between Ucluelet and Tofino. 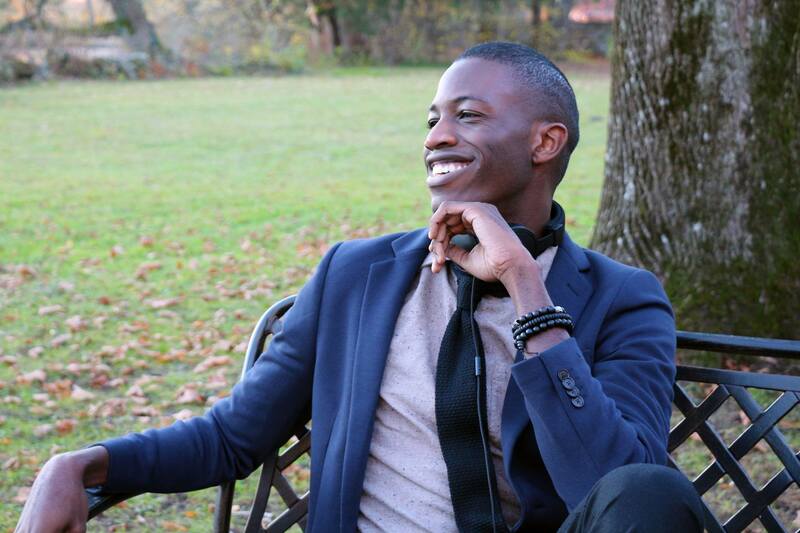 A passion for the natural world and its preservation stemmed from experiencing all of these places at a young age. Upon graduating from highschool in 2013, I attended Vancouver Island University and completed my degree in Indigenous Studies this last June. Throughout my program I focused my courses on Indigenous forms of Governance, Natural Resource Management and special topics in ocean geography. I am currently employed with British Columbia Parks Services as an Indigenous Relations Analyst and have been able to take many of my teachings and apply them to various projects that BC Parks is involved with. I love to surf, Sail, Hike, Bike, SUP, and pretty much any other activity that involves being outdoors! I am beyond excited to be a part of this team and to help Canadians from all parts of Turtle Island learn about the importance of protecting our waters. I'm looking forward to meeting you all in person! My name is Mo and I live in Halifax, Nova Scotia. I'm a coordinator for Oceans Week, where we engage industry/community partners through an outreach initiative, called Oceans Week HFX, designed to promote ocean literacy and a greater sense of maritime identity to all ages. I have a B.Sc in Marine Biology from Dalhousie University and currently am in my last term of an Oceans Technology graduate program. While studying and travelling, I have spent the last five years as a freelance photographer and became a PADI Underwater Photographer and Rescue Diver. I love to snorkel, hike and camp around my coastline but I'm excited to explore the West Coast! I grew up in a small coastal town on the south shore of Nova Scotia and visit the seaside often to recharge and refresh from the demands of everyday life. I support women in the trades and technology sectors and work hard everyday to help myself/others overcome sexism in academia and in the workplace. My goal is to combine both my academic and recreational passions and use a visual platform to inspire those around me. Looking forward to meeting the Ocean Bridge team and to inspire/be inspired from each one of you. Excited to learn how you connect with the ocean and what it means to you. My name is Nina Andrascik, and I am currently in the middle of a six week experience placement in Victoria, B.C. at the Shaw Centre for the Salish Sea. I am learning so much here about marine life, and I know there is so much more to learn about our oceans so needless to say I am absolutely stoked about being part of this year's Ocean Bridge National Team. This fall I will be studying Natural Resources Conservation at UBC, and I can’t wait. I will be right on the ocean, and next to endless hikes, lakes, and weekend adventures. I will be returning to my hometown in Ottawa after volunteering at the Shaw Centre for the Salish Sea to graduate from Nepean High School this June. When I return I will be focused on keeping an initiative going that I founded at Nepean which is now a small movement called WEGO which stands for Women for the Environment and the Great Outdoors. I was able to start WEGO thanks to funding I received through a Women for Nature Young Leaders grant and part of a larger movement called #natureforall. 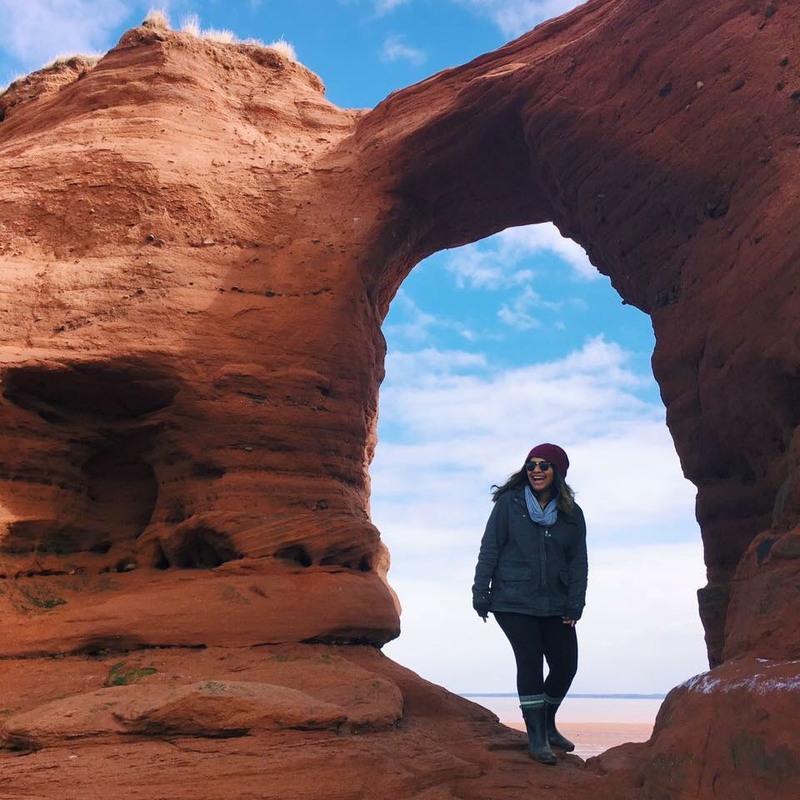 WEGO is a place for first and second generation Canadians and international students to explore the great outdoors in an all women's context. I have always been a super busy, passionate and outgoing individual who loves doing new things with new people so I can't wait to meet all of you. Since I was young, I have loved the outdoors, but since Ontario is a land-locked province it has been through camping, hiking and enjoying lake-based ‘water activities.’ Through travelling, I’ve managed to gain a huge appreciation for how beautiful and vast our oceans are but it has also opened up my eyes to the many issues we need to address like ocean plastics, climate change and coral bleaching as we need to have a healthy ocean to have a healthy planet, today and into the future. I am looking forward to meeting everyone and hearing about your stories, adventures, values, and knowledge. As I am one of the youngest on the Ocean Bridge National Team at 18, I know I have a lot to learn from you and this new adventure. Hello, My name is Rachel Smale. I am from Pond Inlet, Nunavut. I am a very proud Inuk and an ever prouder mother to a beautiful three year old. I do work with Ikaarvik. Ikaarvik means bridge. Our group of youth is the bridge between Inuit knowledge and science. With Ikaarvik, I have been able to work with amazing researchers. I have had a great opportunity to work with DFO to collect samples for their invasive species research. I have also done work with SmartICE helping gather local knowledge on sea ice and danger areas that might need to be looked at more frequently. SmartICE is sea ice monitoring blending Inuit traditional knowledge and science, run partnering with Memorial University. I I am also part of the first ever, Prime Ministers youth council. Hi! My name is Rayna, I am originally from the Northwest Territories town of Fort McPherson (Tetlit Zheh) that is situated north of the Arctic Circle. I am of Tetlit Gwich'in ancestry. Currently, I am living in Whitehorse, Yukon Territory and attending Yukon College in their College Access Studies Program. I have a goal of enrolling in UBCO's Zoology or Freshwater Science BSc degree programs. My main interests and typical day include managing and figuring out how to juggle going to the gym, yoga classes, classes, homework, a part time job that includes measuring photos of fish as a Research Assistant through SFU and the occasional coffee run. This summer I got to be a part of a 2-week expedition, where I rafted through the Yukon’s Snake River. The Snake River and Peel Watershed were home to my nomadic ancestor's and hold a special place in my heart. The trip was a turning point for me. In it, I realized how incredible untouched land can look and why taking care of the environment is so important. 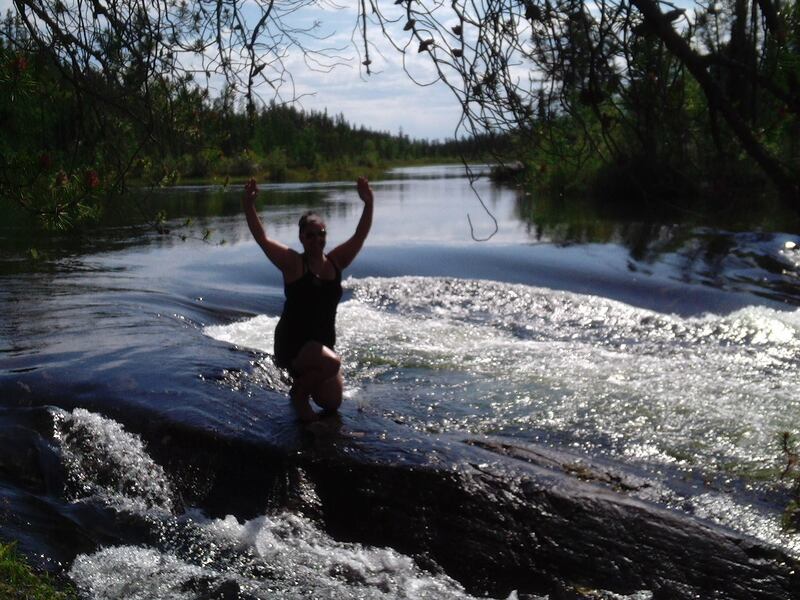 Looking back on my life, with a grandmother fishing every summer and my constant surroundings of summertime fisherman's, it's hard to picture my life without having the deep connection to water, land and my sweet sweet indigenous roots. Through this I have so much respect for environmentalist's and scholar's of science and biology studies. What excites me about Ocean Bridge is having the opportunity to learn more about the ocean and how the ocean-life relates to my river-life upbringings, while also spreading STEM enthusiasm throughout my northern surroundings. I am excited and am incredibly happy to be a part of the Ocean Bridge cohort and getting to meet the rest of the nation-wide team. Hello there! My name is Samantha Matheson, but please call me Sam. I am from the prairie city of Saskatoon, Saskatchewan. I also attend the University of Saskatchewan as a student where I study Environmental Earth Sciences and Geology. Once I am finished school I plan to put my degree to use in fields pertaining to conservation and sustainability. I also have plans for a future tiny home which I plan on living in right by the ocean in British Columbia. Outside of school I am also a fulltime athlete. I play rugby, soccer, and women’s tackle football. In fact, last summer, I represented Team Canada at the Women’s World Championships in Vancouver, BC. I am a firm advocate for girls in sports and have spent the past few springs coaching high-school girls flag football. From a young age, I have been a nature nut. A lover of the outdoors, a friend to the trees and a geek about environmentalism. I want to be a defender of the ocean, I want the world to hear my voice rise up for the ocean since it doesn’t have a voice of its own in which to plead its case. I want to be a leader for change in my community and for my voice to be heard so that I may assist in the change to a cleaner, greener world, and a cleaner ocean. I can’t wait to begin collaborating with everyone in the Ocean Bridge program! 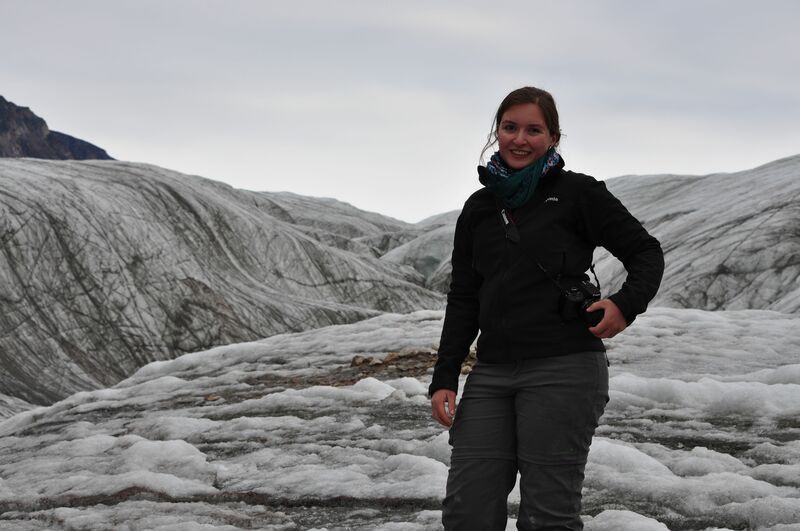 Samantha is an environmental biologist and a science communicator currently finishing her Master’s in Northern Studies at Carleton University. She loves to write about herself in the third person. The amount of Sams involved in this project might mean she will need a new nickname. Native of the Ottawa Valley in Canada, which is an odd place for a mermaid, she is strangely in love with the ocean and the polar regions for such a landlocked Quebecois girl. It all really started with her work on on a ship in 2014, but she has been cold water diving and sea kayaking for even longer. 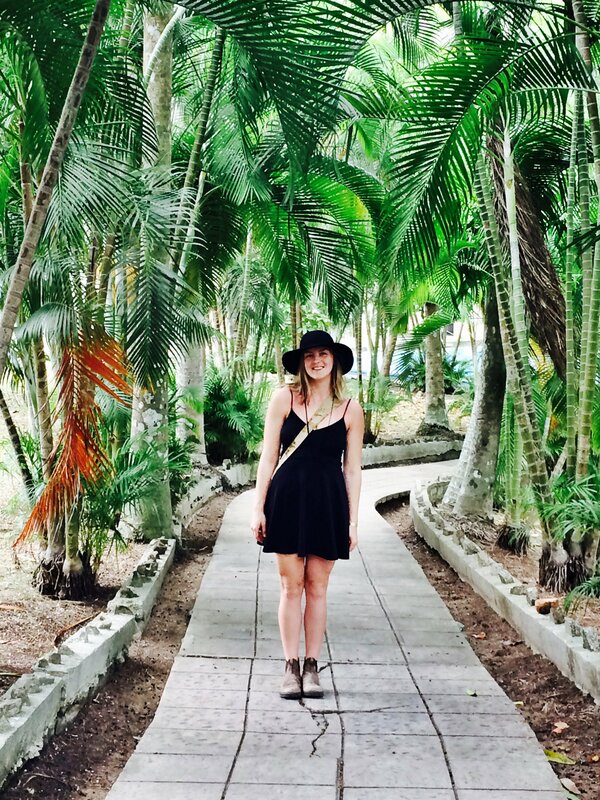 When she can’t get herself to the temperate seas, she’s sharing her experiences and passion for those incredible places. While she’s worked in various fields and enjoys being a Jill-of-all-trades, she considers herself an educator first. 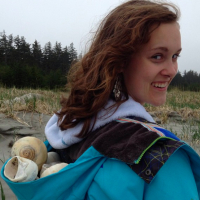 Using varied mediums to engage folks young and old into protecting and enjoying nature, her goals are to increase science and ocean literacy in Canada. She is a strong believer that understanding and experiencing the environment is the key to protecting it. Building the next generations of ocean and polar stewards will be a labour of hope, brought forth by love and respect. 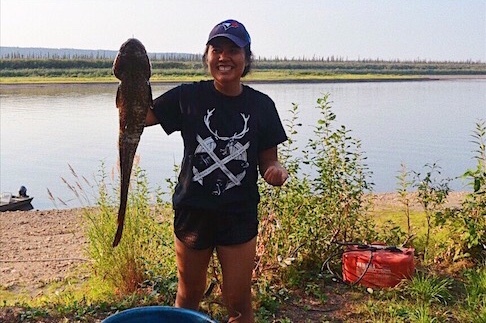 She will be working in Ikaluktutiak/Cambridge Bay this summer at the Canadian High Arctic Research Station (CHARS), as grad student. So that explains the pin! Samantha est une biologiste spécialisée en environnement et une communicatrice scientifique qui termine actuellement sa maîtrise en études nordiques à l'Université Carleton. Elle se prend un plaisir à écrire d'elle-même à la troisième personne. Avec tellement de Sam dans ce programme, elle considère le besoin de se trouver un nouveau surnom. Originaire de la vallée de l'Outaouais au Canada, qui est un endroit étrange pour une sirène, elle est étrangement amoureuse de l'océan pour une Québécoise si enclavée. Tout a peut-être commencé avec son travail sur le voilier Sedna IV en 2014 , mais elle fait de la plongée sous-marine en eau froide et du kayak de mer depuis encore plus longtemps. Quand elle ne peut pas se rendre à la mer, elle partage ses expériences et sa passion pour ces endroits incroyables. Alors qu'elle a occupé divers emplois variés, elle se compte comme une éducatrice et naturaliste de métier, utilisant tous les moyens pour engager les jeunes et moins jeunes à s’amuser en nature. Ses objectifs sont de réduire l'analphabétisme scientifique au Canada, et de créer une curiosité pour nos grandes régions côtières. Elle croit fermement les expériences en natures sont la clé pour protéger l’environnement. Développer les prochaines générations de protecteurs de la mer et des régions polaires sera un travail d'espoir, porté par l'amour et le respect. I graduated from Environmental studies at University of Sherbrooke almost 1 year and half ago. Since, I finished school, I participated as a volunteer in international cooperation program in Latinoamerica, did some environmental education and recruitment for a NPO in environment, did Katimavik program for a NPO in water resource management and I also worked few weeks in an ecological store! Actually, I’m still trying to find out the perfect job for me! I’m very glad to participate to Ocean Bridge program and can’t wait to meet you all! I am currently living in Hamilton, Ontario but was born and raised in Sudbury, where there are over 300 lakes! I have just graduated from the University of Guelph with a B.Sc. in Zoology and am taking some time off before applying to Veterinary school or a Masters program. I have always been fascinated by animals and I love to travel, explore and be outdoors. Through my travel experiences and tree planting in B.C, I have been able to see the ocean and I can’t think of a time that I am more astonished by the world than when I am surrounded by it. Unfortunately, I am all too aware of the anthropogenic threats our oceans and lakes are facing and decided to inspire others to change by making a few lifestyle changes myself. Some of these include minimizing my waste and plastic use, switching to environmentally-friendly products, conducting an undergraduate thesis, and getting certified as a PADI Open Water Diver. I hope to combine both my passions for ocean conservation and animal welfare by becoming an aquatic/wildlife veterinarian because there are no animals I want to protect more than the ones in our oceans. 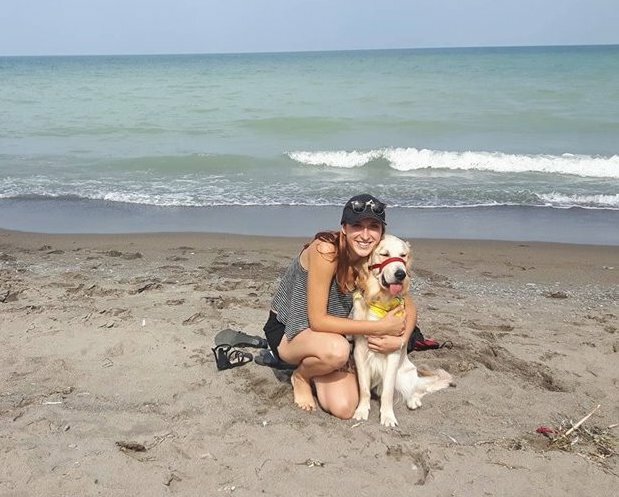 Some other details about myself are that French is my first language, I am very involved in the LGBTQ+ community as the outreach coordinator for Get REAL Guelph, I am raising a service puppy in training for Autism Dog Services, and I work as an animal ambassador with Little Ray's Nature Centre and Animal Ambassadors Canada. I am so grateful to be part of Ocean Bridge and I can’t wait to make a difference and meet you all! Hello everyone! My name is Taylor Jones-Arason and I come from the small prairie town of Cypress River Manitoba. I've recently graduated from the University of Manitoba with a degree in Biodiversity and Conservation. I've loved the outdoors ever since I was young and enjoy activities like snowboarding, longboarding, canoeing, hiking and camping. 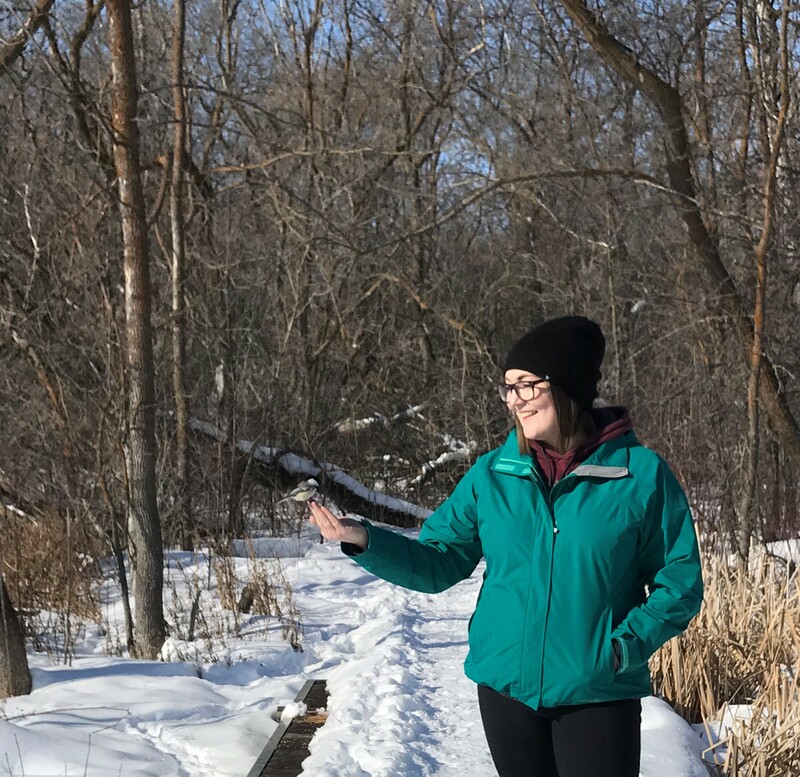 I've spent the majority of my summers working as an Interpreter in Spruce Woods Provincial Park, where I would develop and present guided hikes, school programs, and community programs to a large demographic. I've only had the privilege of seeing the ocean twice during my travels, but look forward to seeing it again this spring and learning about ocean conservation with the rest of the team. I am very excited to meet everyone and am incredibly grateful for this opportunity. I’m from the Yahgulaanas Jaanas Raven clan in Old Massett, Haida Gwaii, where I grew up surrounded by revitalized culture, old growth forests and ocean in every direction. I live by the Haida mindset Yahguudang, “respect for all living things”, and I’ve always been especially fascinated with the high diversity of captivating oceanic creatures. I’ve moved from Haida Gwaii to obtain a Bachelor’s of Science in Earth and Ocean Science and I’ve been a marine research technician, identifying zooplankton in fish stomachs to study their feeding. I’m currently in the Biological Oceanography Master of Science program at UBC where I will investigate if juvenile pink, chum and sockeye salmon are competing for food and how this affects their survival. I’m so inspired to study salmon and other ocean critters, because they are central to my people’s culture and way of life, as it is for people all across the coast.